This year’s ACAAA Annual Conference is being hosted by the DoubleTree by Hilton Fort Smith City Center. The rate per night/per room is $95.00 (plus 14.75% tax) — 2 queen beds or a king bed with a sleeper sofa (based on availability). Breakfast is not included in this rate. 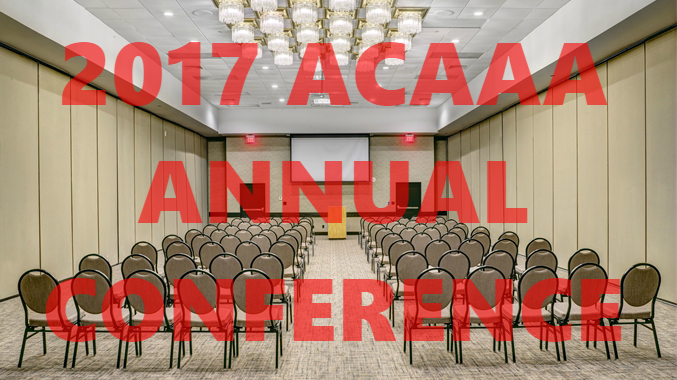 To register online, you can visit a specially-designated ACAAA page at the DoubleTree website accessible here. This page has been designed to automatically generate the $95.00 rate.